Deep in a leafy grove, the clever animals of Hazel Village live in their neat little houses, happy and free. They keep their perky ears attuned to the sounds of their forest home and use their wits to do helpful and kind projects for their neighbors. Jane started Hazel Village in 2010 with her own two hands. 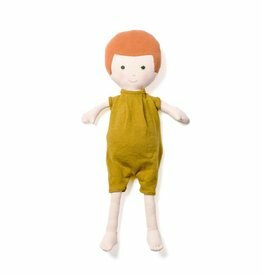 She set out to make the toys she would have wanted as a child: soft and cute, with a rigorous commitment to the spirit of play. You'll never see us sell a sewn-on doll shoe or a button that doesn't work, because that would mean admitting the animals aren't real. 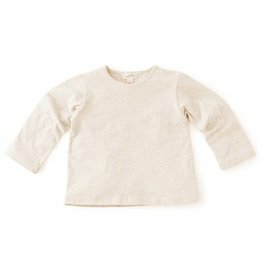 So we make real organic cotton woodland creatures and dolls, and real doll clothes that all the Hazel Village friends can share, to inspire hours of immersive, low-tech play. 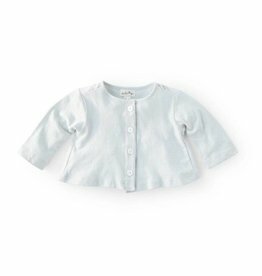 Also real matching clothing for babies and kids, because what could be more cute? At the Hazel Village workshop and flagship store in Brooklyn, we do our best to follow the good example of the animals. The company and the animals have the same core values: we are resourceful, clever, jolly, diligent, and gentle. Hazel Village empowers kids to play at their best: to make or imagine everything they need to make their dream worlds real. The animals’ motto: INDUSTRY AND GOOD CHEER, EVERY DAY AND EVERY YEAR!